The Division of Public Service at Rio Salado College includes KJZZ 91.5 FM, K-BACH 89.5 FM, Sun Sounds of Arizona, KJZZ’s SPOT127 Youth Media Center, and Soundbite, a mobile production studio. 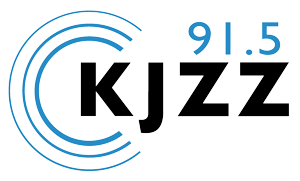 KJZZ 91.5 FM is a listener-supported public radio station serving the Phoenix metropolitan area. As the only NPR member station in the valley, KJZZ features a mix of local, national, and world news, classic jazz and blues at night, and entertaining weekend shows. K-BACH 89.5 FM is a listener-supported public radio station serving the Phoenix metropolitan area. K-BACH is the only 24/7 Classical radio station in Phoenix area, reaching listeners around the world who stream K-BACH online. SPOT 127, KJZZ’s Youth Media Center, is an award-winning youth media center that empowers low-income and at-risk teens to find their voices and engage with their communities through audio, photo, and video storytelling. Sun Sounds of Arizona is a not-for-profit service that creatively applies technology and talent to make sure that every person with a print disability can access the current and local information delivered by volunteers who read local and national newspapers, magazines, and local ads. This position plans, directs, evaluates and provides general oversight of radio programming, production and broadcast management. Is under the direction of a College President and serves as a member of the College’s senior management team. 20% - Provides leadership and administrative direction related to strategic and operational planning for the Radio Stations and Sun Sounds of Arizona. Organizes, assigns, supervises, reviews and evaluates the work of staff. 20% - Prepares and administers budgets; monitors/approves expenditures; administers and oversees contracts, grant funding and/or procurement activities for the growth of the broadcast operations. Public Speaking and Customer Service. Ensures compliance with applicable laws, regulations, codes, and/or standards. 10% -Oversees the development and implementation of programs, policies and procedures. Identifies and initiates innovative approaches to community engagement and related marketing and promotions as it pertains to broadcasting and membership. 10% - Integrates and aligns strategic mission and goals with that of the College and District; prioritizes projects and initiatives in alignment with organizational objectives. 10% - Performs other duties as assigned.